#265. Drawing from 1854 (copied). 11 x 9, pencil drawing on paper. "G. D. M. 1854" lower left; "Copied" lower center. This is a pencil drawing by the young Gilbert Munger, done when he was 17 year old and living in Washington DC. The notation "Copied" appears at the bottom center, indicating that he copied another image, no doubt in his efforts to teach himself to draw. 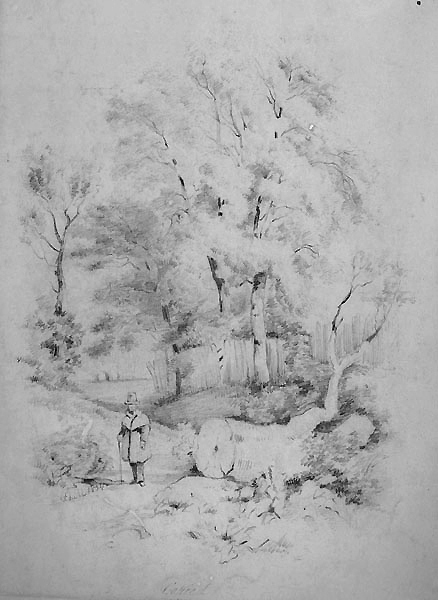 In pencil on the back appears: "Drawing by Gilbert Munger in 1854" and "#9265 Mrs. Chrls Cottle". The drawing was purchased by a collector some while ago, probably at an antique shop. 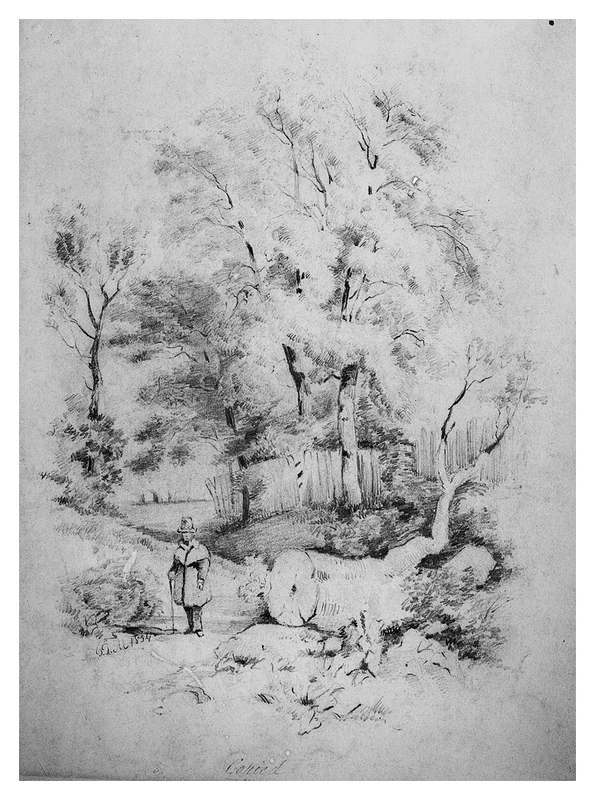 Image from a scan of the original drawing.